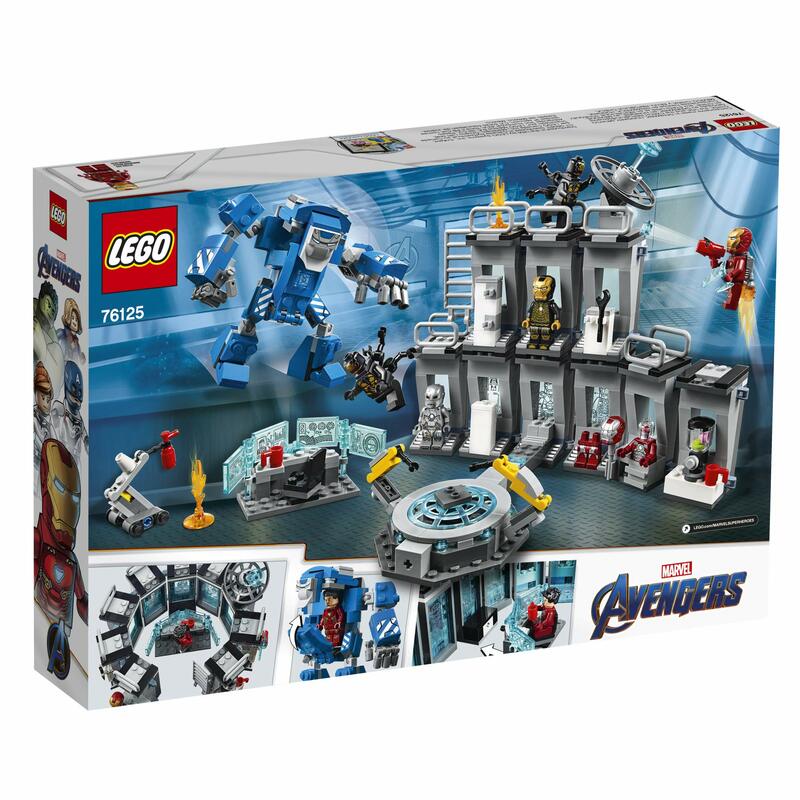 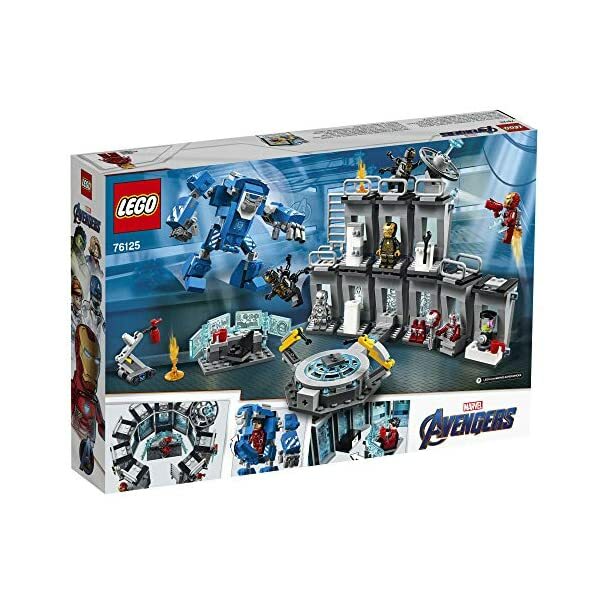 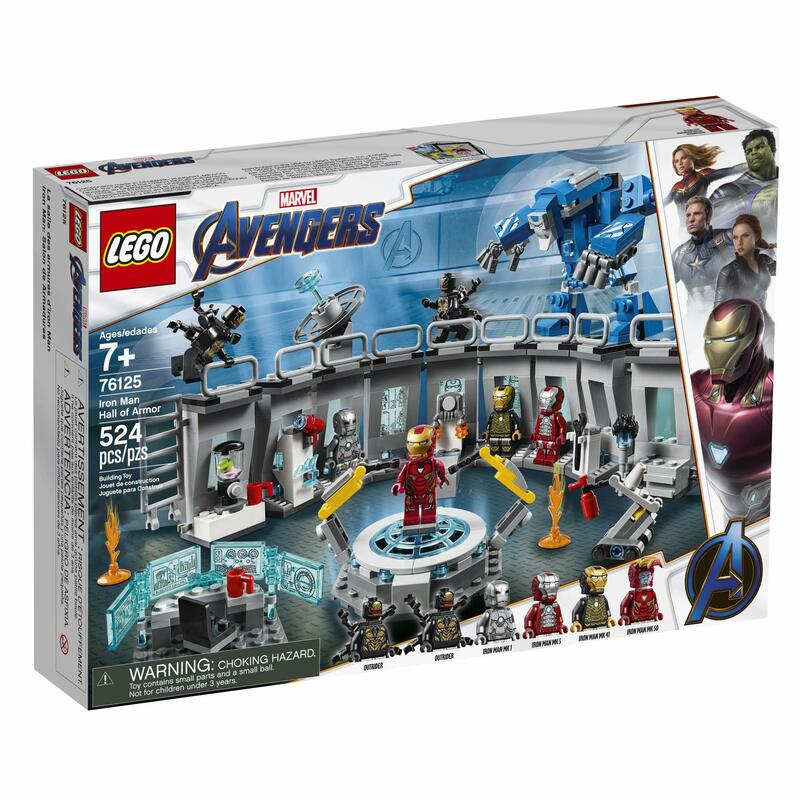 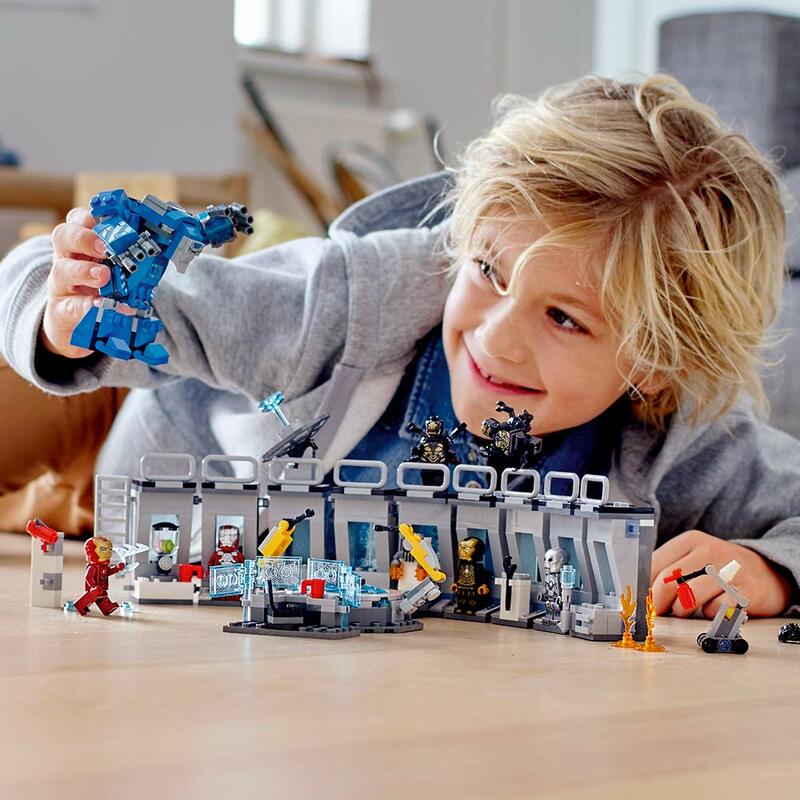 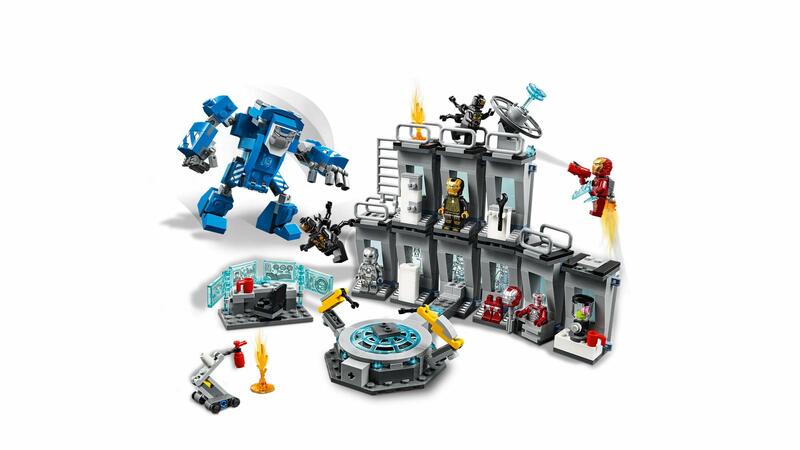 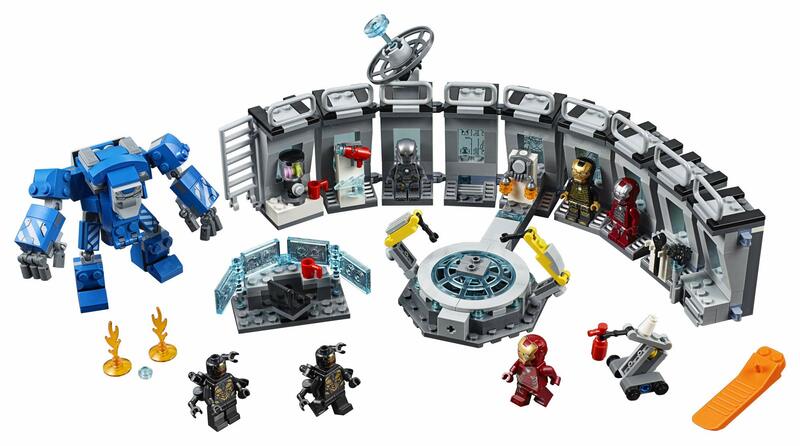 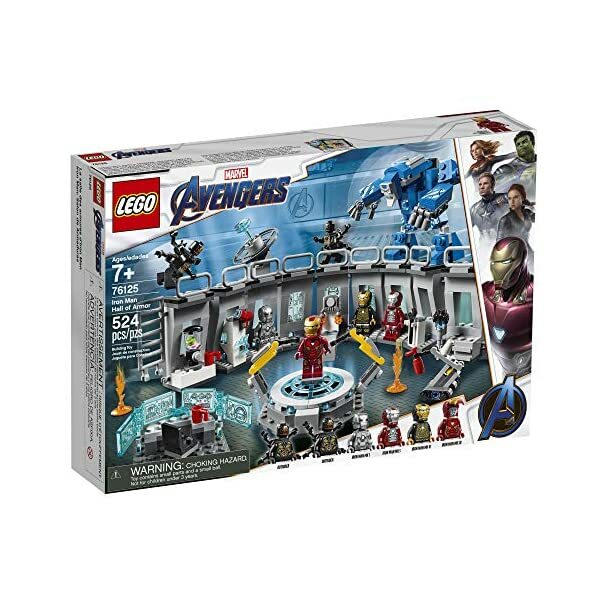 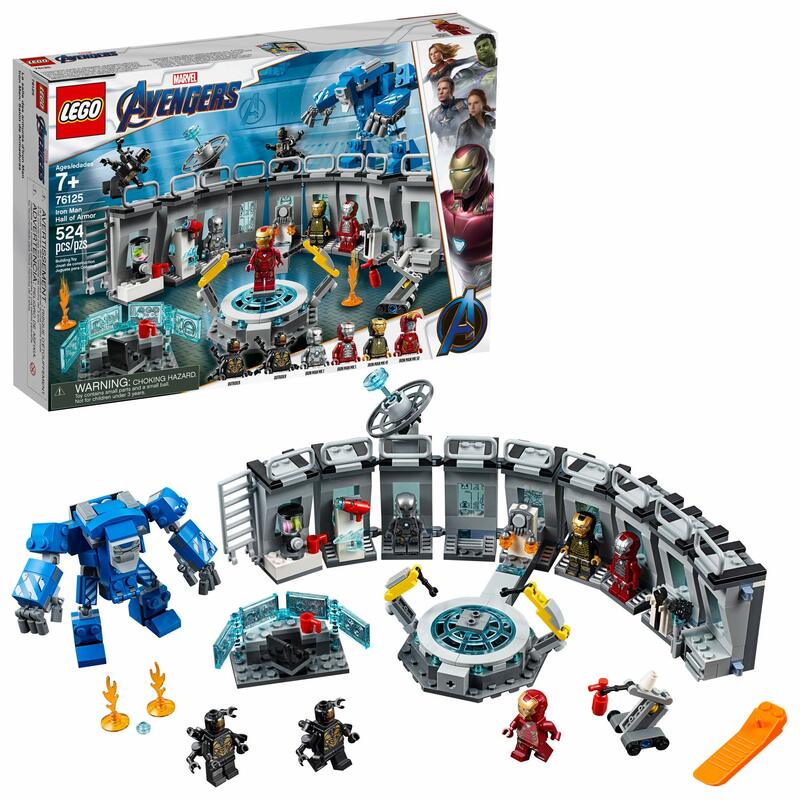 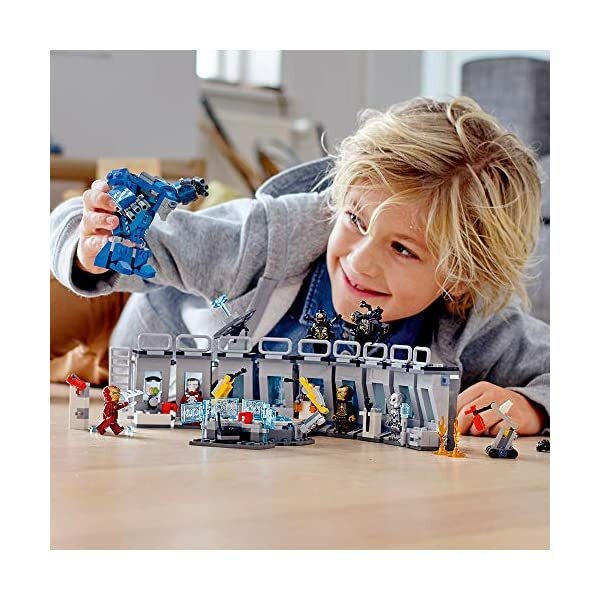 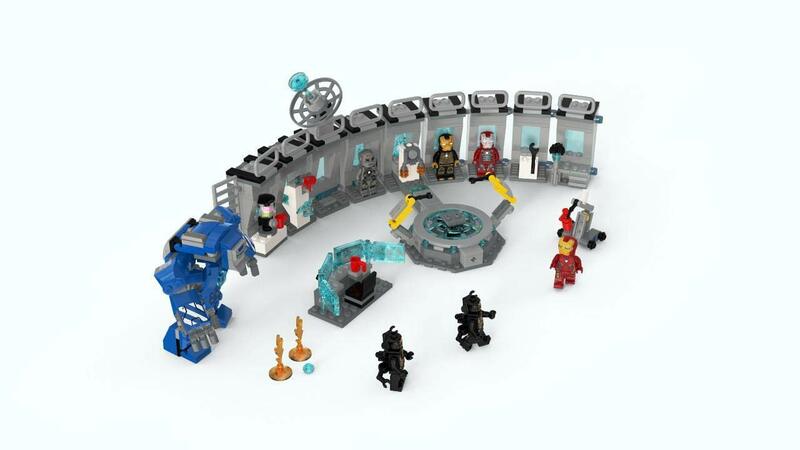 Conduct experiments with Tony Stark and capture the Outrider with the LEGO Marvel Avengers 76125 Iron Man Hall of Armor buildable set, featuring a modular lab that can be combined and stacked in many different ways for endless creative play possibilities. 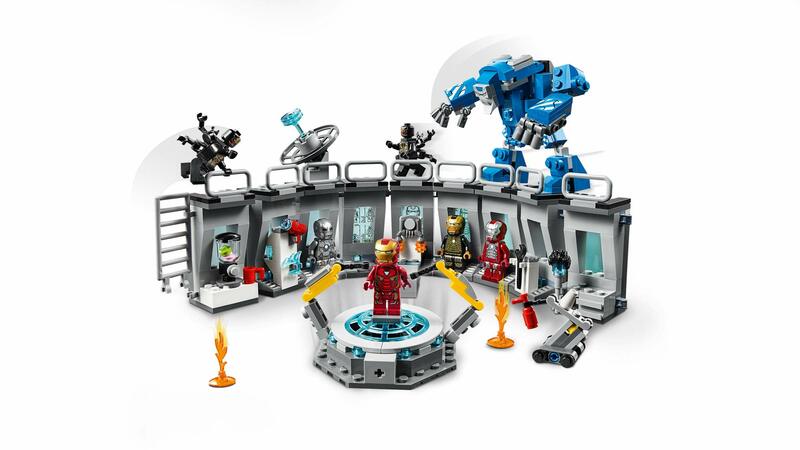 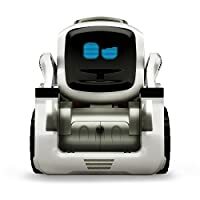 The hall includes a rotating podium with 2 posable robotic arms for Tony Stark to get suited up as Iron Man, a desk, kitchen, weapon storage, tool storage and Iron Man suit storage modules, a radar dish and more. 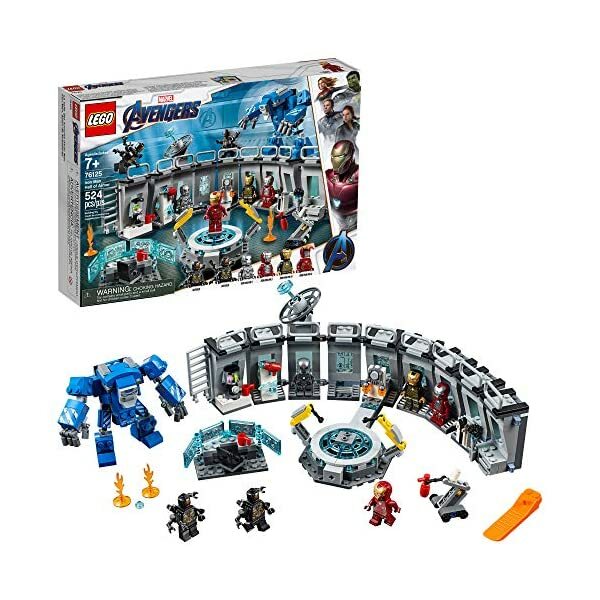 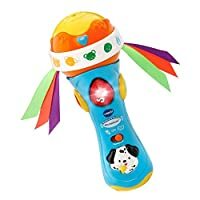 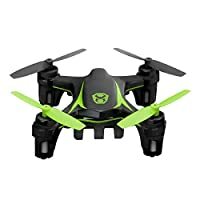 This cool construction toy for kids includes a posable Igor Suit mech with minifigure cockpit, a posable mobile robot and 5 minifigures—including Iron Man MK 1, Iron Man MK 5, Iron Man MK 41 and Iron Man MK 50, plus Tony Stark face and hair elements to attach to your chosen Iron Man minifigure.